JBJ has a great algae cleaner called the Aquascraper. Get rid of pesky algae and other debris on your glass. Scrub away the mess with the Aquascraper. 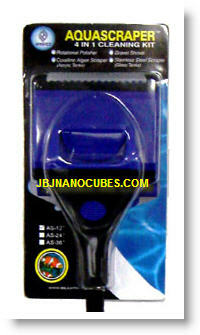 Great for all sizes of aquariums for getting rid of algae and cleaning your tank while keeping your hands dry! 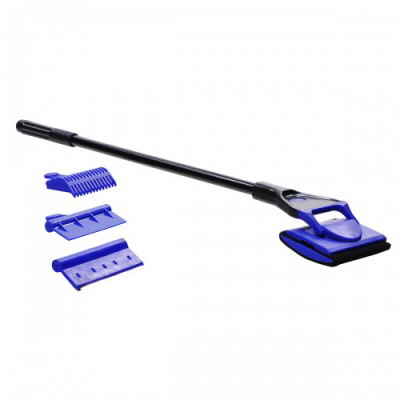 The Aquascraper comes in 3 sizes to fit all of your cleaning needs.